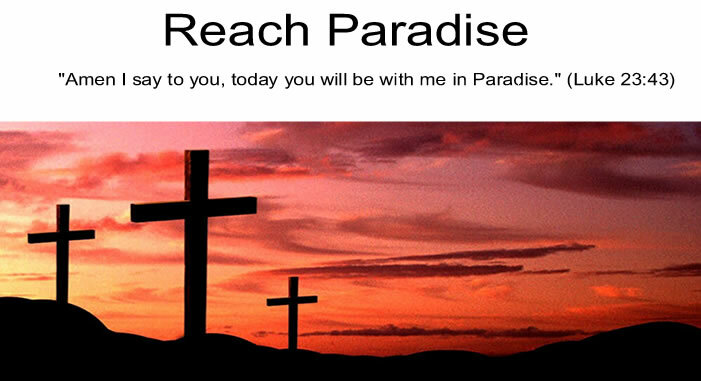 Reach Paradise: Did Jesus Tell Jokes? 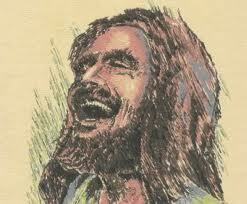 It hit me this week that I almost never picture Jesus smiling or laughing. I read every quote from Him with the utmost seriousness. Each word is carefully chosen. Each parable a stern lesson. I picture him constantly teaching his disciples - desperately trying to get His message across to an audience who just doesn't get it. I picture Him sad and tortured during His final week on Earth. And of course, the most common image I see of Him is on the Crucifix. No smiles there. So I did some research, and found out that this is a common discussion point. Turns out that many scholars believe that the words we read with such solemness were actually humorous at the time. From Jesus' outlandish analogies (a camel through a needle, a beam in an eye), His wit (the Pharisees are the blind leading the blind), and His comedic images (wolf in sheep's clothing), there is evidence that He did use humor more than I envision. So why is it often overlooked? Some say it is because those around Him did not understand. Some say it is because it is not natural to think of God laughing. And some say it is just because of the seriousness of the underlying message. But now that I have a new perspective, I find it comforting. I usually picture Jesus one of two ways: looking down on us with a loving look or looking down on us with a sad, disappointed look. But maybe ... just maybe ... He is also laughing with us too. God definitely has a sense of humor. Jesus certainly must have during His earthly life. I don't know if He told jokes, but I am sure the Apostles must have provided a constant source of amusement for Him- not to mention me as well. I know there are days when He must look at me and some of what I do and laugh. Thanks for this one, Michael and God bless! I do truly believe Jesus laughed and shared humor with his disciples...he was like us in all things but sin; I often meditate on his reaction to my foibles and silliness, and see him laughing out loud at times! It is a vision I am very fond of. I have always seen Jesus as human. That is why God sent him here. He was sent to walk among us, be like us, and teach us. I see him human in ever way but so much better. I think of him as gentle, kind, nuturing, and yes, smiling, talking, and laughing with all of those his life touched on this earth and especially children. As a teacher I think he found great joy. From heaven I imagine Jesus has shook his head and laughed many times at my follies. God bless you Michael and Happy New Year! Thank you for praying for me when I was not well. I think he laughed often! Thanks everyone - I really enjoyed reading your thoughts on this one. This is really profound Michael. I love the scenes in the movie the Passion of the Christ that show Jesus interacting in a lighthearted way, joking and teasing his lovely mother. I absolutely believe that God has a sense of humor. Where there is love, there is laughter. God is love. Jesus is love. How wonderful to imagine them laughing. Incomprehensible that we may one day be privileged enough to hear it. They saw my hair in the 80s. Trust me, they laughed. I also love to be reminded that Jesus, Our Lord, was very much a real person. This post did that, and I thank you very much!